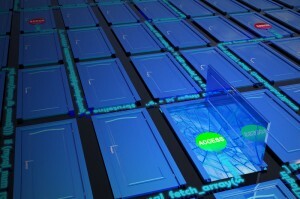 A backdoor is a way of accessing a computer without going through the normal access routines, such as entering a name and password. It can be installed by a virus or sometimes even by legitimate programs. This is closely related to another type of attack known as a rootkit, which is used to conceal programs or files to help hackers avoid detection. A rootkit can be used to open a backdoor, allowing hackers into a system. One example of a virus that installs a backdoor is the MyDoom worm, created to send junk mail from infected computers. One of the most famous rootkits was installed when a copy-protected Sony CD was played. The software, which was placed on more than 100 CDs, interfered with the way that Microsoft Windows plays CDs by installing a rootkit, creating vulnerabilities for other malware to exploit. Sony finally recalled all the affected CDs, but not before public attention was drawn to the issue of commercially-backed spyware and rootkits.